Suffering doesn’t rob a person of dignity. To say otherwise cheapens the life of Joey Feek and everyone with a terminal illness. 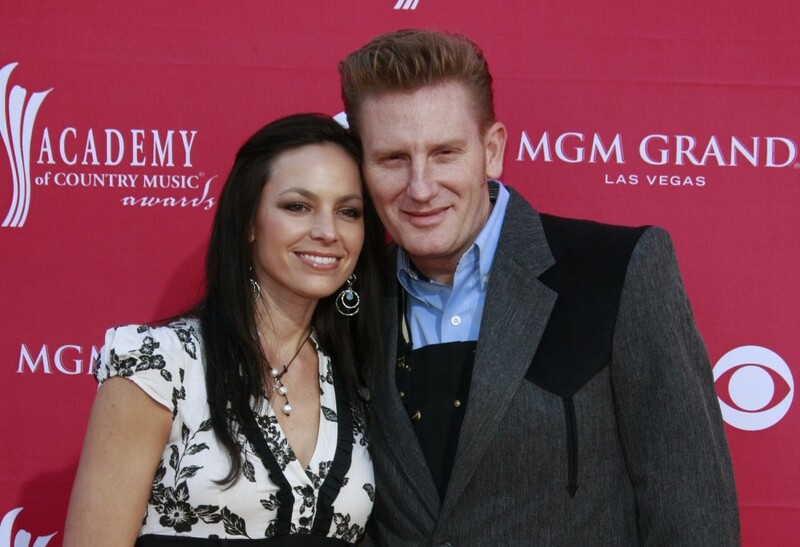 Country singer Joey Feek knows what it’s like to suffer. Facing the realities of a relentless terminal illness, she openly admits wanting to die: “I pray that one morning I just don’t wake up,” she says. But instead of spending her last days contemplating her death, the myriad ways her terminal illness is robbing her independence and abilities, or how to hasten the end of her suffering, she seems more focused on surrounding herself with the ones she loves. She knows her time is nearly up, but she is secure in the knowledge that when she does pass, it will be into the arms of God. This is suffering, to be sure; but it is suffering suffused with dignity, through and through. Most people who advocate for physician-assisted suicide (PAS) do so from the belief that it maximizes dignity and personal autonomy in the face of immense suffering, typically caused by a debilitating terminal illness. As the recent legalization in California and recently proposed legislation in states like New York suggest, the PAS movement is currently enjoying a fair amount of popular support in the United States. In our “you do you” and “it’s my body, my choice” culture that values personal autonomy as one of the highest pursuits, the option to go out “on our own terms” is enticing—albeit one that comes with many dangerous implications concerning the compatibility of suffering and dignity. It is clear from the language Brittany and others used to describe her choice—and the widespread support of her decision in the media—that our society has come to view the concepts of “suffering” and “dignity” as implicitly incompatible. However, for myself and for many others who advocate against legalizing PAS, a morality informed by Christian tradition—which values autonomy, but by no means worships it as the greatest good—helps us to reveal the truth that suffering and dignity are not only deeply compatible, but perpetually intertwined. How is this possible when suffering can make us feel so vulnerable, so humiliated? Stemming from the belief that we are fearfully and wonderfully made in the image and likeness of God, Christians believe that every human life has inherent dignity simply by virtue of being human, and likewise also possesses a corresponding right to life. Therefore, the only kinds of actions that may be considered undignified are those which deny the inherent dignity in another human being; for example, murder. As a normal part of the human condition, suffering is neither inherently evil nor inherently undignified. Therefore, we have no moral imperative to end it at any cost, and certainly not by any means so extreme as causing death. In the Christian moral tradition, while a terminal illness undoubtedly causes great suffering, the sufferer is no less dignified than the next human being, no matter how horrible, painful, or humiliating their suffering and death may be. For a prime example of this, Christians look to Christ’s particularly gruesome death upon the cross. Would anyone whose moral framework is formed by the Christian concept of dignity refer to Jesus’s suffering upon the cross as “undignified?” Rather, it is the people who crucified Christ who acted in an undignified manner, precisely because they denied him the dignity inherent in his humanity. Christ’s death itself was not undignified, and he was no less dignified for crying out in pain when they pierced his side, just as the terminally-ill cancer patient is no less dignified for losing control of bodily functions in the course of his disease. For a modern example, we may look to examples like Feek, and also to the story of Kara Tippetts, the young Christian wife, mother, and “Mundane Faithfulness“ blogger who suffered the same form of cancer as Maynard and refused to seek out PAS. Anyone who followed Tippetts’s story would be hard-pressed to refer to her suffering and ultimate death as “undignified” or as somehow less dignified than the death Maynard chose. However, when we affirm PAS as the “dignified” option in the face of terminal illness, we implicitly affirm painful, suffering deaths that result from the natural course of a disease as somehow undignified—an implication with myriad dire ramifications. For example, if we continue to believe suffering is inherently evil, and that it is undignified to die as Feek is, or as Tippetts did, then we must also hold the troubling belief that a physician has an obligation to end his patient’s suffering through any means possible, including through death. When PAS is legal, a Christian practitioner normally guided by the conviction that all human life has inherent dignity may be made to feel that he is the one condemning his patient to die a painful, suffering death if he refuses the patient’s request for PAS. As a result, he may experience a deep sense of guilt over failing to ease his patient’s suffering, which may in turn coerce him into offering PAS out of a misguided sense of mercy toward the suffering of his patient. In a cruel paradox, by virtue of PAS becoming a legal, accepted medical practice, it may actually deprive medical practitioners of autonomy by creating and preying upon a misguided sense of compassion as they care for terminally ill patients. When we sanction such practices as PAS, the duty to end suffering by any means necessary is de facto fabricated, sanctioned, and imposed on those working within its jurisdiction. Even more pressingly, should PAS becomes a sanctioned medical practice, patients are also likely to fall under the weight of its potential for coercion. A terminally ill patient who is suffering greatly, and who sees how her situation negatively impacts her loved ones (emotionally, financially, etc. ), may feel the need to avail herself of PAS, both to end her own suffering and the suffering of those around her. After all, one of the reasons people seek out PAS is to avoid feeling that they are a burden to the ones they love—a feature that worries the disabled community considerably. Who among us would not feel anxious at the sight of our loved ones suffering at our bedside, knowing our care costs them in so many different ways? Knowing that we are to die anyway, and suffering through every manner of pain and humiliation, would we not feel the temptation—even the necessity—of ending it all simply because we know it is a legal option? Again, we can see how PAS, purporting to increase autonomy, may by its mere existence actually decrease the patient’s ability to make autonomous decisions. As human beings, we shy away from suffering. It is in our nature to do so. But unless we wish to hasten the descent of our culture into sanctioning suicide, which does nothing but detract from human dignity and meaningful autonomy, we must work to change the way our culture views suffering. This is a tall order in a society where limitless autonomy and unbridled pleasure are seen by many as the greatest pursuits. But there is a better way forward; a way that truly upholds the dignity of every human being suffering a painful, terminal illness. The first step must be to debunk the idea that suffering is inherently evil. This urges us to end suffering by any means necessary, even to the point of choosing and causing death. Instead, we must advocate for viewing suffering as a challenge, for when someone around us suffers, it is a challenge to everyone around to show this person compassion and love. Just as Christ’s suffering and death calls us to love one another through life’s challenges, the suffering of those around us challenges us to be better providers, better children, better spouses, and better fellow human beings. While a reasonable person could claim that this view of suffering is for those who are able to “find meaning” in it, it remains unethical to allow those who cannot find meaning in their suffering to end their lives. In fact, it is a dangerous precedent to set. Someone suffering from a well-managed disease (such as diabetes, early-stage kidney disease, or heart failure) may see no meaning in the suffering she endures. Those who support current legislation proposals for PAS for terminally ill patients would say that such a patient isn’t eligible for being able to end her life through PAS—but why not? If she suffers, and clearly finds no meaning in it, why refuse her legal suicide simply because her condition is not imminently terminal? After all, this would clearly be the precedent set if someone’s right to die through PAS depends upon whether they find meaning in their suffering. Belgium and the Netherlands are two examples of this slippery slope: they no longer require an individual to be suffering a terminal illness in order to receive euthanasia. If PAS becomes a more widely legal practice in the United States, it may not take long for individuals to begin openly advocating for removing the terminality safeguard here, as well. In the end, legalizing physician-assisted suicide will not make for a society that is more compassionate, dignified, or autonomous. In fact, the potential for PAS to coerce both patients and physicians is entirely antithetical to the autonomy that it claims to maximize. However, perhaps the greatest evil of PAS lies in the fact that it will not only fail to challenge us to better meet the needs of those suffering around us, but also that it will actively encourage us to abdicate our duties towards those individuals. After all, the challenge to serve the suffering is arguably the greatest, and should be approached with true compassion, and not the misguided mercy of PAS’s kiss of death. For those concerned with protecting the most vulnerable members of our society, there should be little doubt that legalizing physician-assisted suicide will hasten the descent of a culture that already fails to affirm the dignity of each human person through every stage of life.